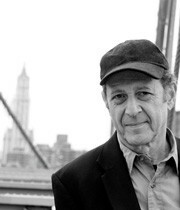 In the 1960s, Steve Reich emerged as a central composer in the movement that has been called minimalism. His music has become a fixture of the international music scene and an influence on generations of composers, choreographers and performance artists. His instantly recognizable musical language combines rigorous structures with propulsive rhythms, and the construction of complex sounds out of simple materials. For full details, contact the box office on 01524 594151.